The subjunctive (El subjuntivo) can be tricky to grasp for English speakers, as it's rare in our language. I'm putting this guide together in the hopes that it will help those who struggle with this aspect of Spanish. The use of the present subjunctive can be hard to get the hang of at first, as it appears so seldom in English (an example being “I suggest that he go“). If you've already encountered the subjunctive in other languages like Italian, it will be a bit easier, as many of the “subjunctive phrases” will carry over to Spanish. Likewise, getting familiar with the subjunctive in Spanish first will help when it comes to using it in other languages. If there is doubt within a situation, the subjunctive is used. For example, phrases like “No creo que...“ (I don't believe that...), “Dudo que...“ (I doubt that...), “No estoy seguro de que...“ (I'm not sure that...) all use the subjunctive. Remember that any phrases where there isn't doubt don't use the subjunctive, for example “Creo que...“ (I think that...) and “No dudo que...“ (I don't doubt that...). Let's look at some example sentences - words in Italics are “subjunctive phrases“, and words in Bold are verbs in the subjunctive. ¿Quieres que yo vaya contigo? - Do you want me to go with you? ¡No olvides tu equipaje! - Don't forget your baggage! ¡No uses el teléfono mientras conduces! - Don't use your phone while driving! ¡No me ignoréis! - Don't ignore me! ¡No comáis todo! - Don't eat everything! ¡No corra! - Do not run! ¡Que nadie me distraiga! - No one distract me! Él no ha comido nada. ¿Que no tenga hambre? - He didn't eat anything. Could it be that he's not hungry? Note that for nosotros/nosotras, an acute accent is placed on the final vowel before the suffix. Si pudieras ir a cualquier sitio, ¿adónde irías? - If you could go anywhere, where would you go? ¡Como si no me gustase el chocolate! - As if I didn't like chocolate! ¡Ojalá lo supieras! - If only you knew! I hope this helps!/¡Espero que esto ayude! FANTASTIC! You really put a lot into this! The question that one has to focus on, in this situation, is "the direction of travel". IF someone else is "coming to your party" (for example), the direction of travel is towards you, yourself, as the "lst person who is speaking". In other words, "towards ME": the person or people are COMING TO WHERE I AM. If you and another person are intending to venture out together, then you are not COMING TOWARDS YOURSELF but "GOING AWAY (from where you are)", instead. MARÍA: "Allá VOY." (I'm coming!).... which is actually "I'm GOING [there]." The direct implication is that Juanita wants Mary to "COME to where I am"; and, Mary answers that she is GOING to where Juanita is. But there are also situations where it would be correct to say "come." For example, if Juanita is visiting María in her home one evening and María says "tomorrow I have to come straight home after work." And Juanita says "Do you want me to come with you?" So, in any situation where you are talking about coming back to where you are, then you would use the word "come". On a separate note, (just for interest), while I agree with your comment about "come to where I am" and go to other places, this is actually a Western concept. If you go to a country like Vietnam you will discover that you always "COME home" and GO everywhere else, irrespective of where you are. So if you are at a party and someone gets up to leave, you might ask "Where are you going? ", and they might reply "I'm coming home!" It sounds wrong in English (and other Western languages), but that is the construction in Vietnamese. I can think of one time the "I'm coming home!" would be used and make sense in English. If you are talking to someone who is at your house and they say: What are you doing? You could answer: "I'm coming home!" That makes complete sense and is accurate English. In the case you pointed to in your post (vietnam), In the language you are referring to, you know what is accurate and what makes sense. This is something unusual to an American because we don't have any such usage in our language for this. I would cheat and say "I'm returning home"! Because yo soy un diablo. This can be said of Tagalog too, wherever they are they "come" home. I have to disagree. I would personally say I have to go straight home. People probably do say that but not where I am from. The same with do you want me to come with you. I would say do you want me to go with you. Perhaps there are some English speaking regions that do use what you have suggested but just not where I live. jfgordy: What does it mean if I click on the little arrow to change a 0 to a 1? I was thinking it is kind of like a like on Facebook. Anyway, that is what I have done for your comment and some others like Nadya222, because she seems to know a lot of stuff and it is helpful. By the way jfgordy, you are doing rather well if you are a beginner. Clear and precise. Thank you for pointing out that distinction I had not yet made. Well said. I'd like to add that usage of -ra or -se imperfect subjunctive varies by region. For example, in Mexico, "-ra" is heavily preferred, and in spoken usage you almost exclusively see "-ra". "Antes de que vinieses" is almost unheard of. In fact, "-ra" predominates worldwide. From my experience, "-se" is almost unused in speech outside of Spain and Puerto Rico. Apparently, in some parts of Castille, both are actually used with slightly different meanings, I believe with "-se" expressing a greater shade of doubt or uncertainty. I would advise learners to focus on learning "-ra" forms for speaking and writing, and to be aware of "-se" forms as possible variants. If you exclusively use "-se", you will sound stuffy, formal and antiquated to many, if not most, Spanish speakers worldwide. If you are planning on living in Castille or somewhere else where there is actually a semantic/functional distinction, I would recommend using "-ra" until you get the hang of how they are used differently in that region. Only a little note. Castilla (Castille) was one of the kingdoms that originated España (Spain) when Isabel de Castilla and Fernando de Aragón married in 1469. Nowadays Spain is formed by 17 autonomics communities, two of wich are named: Castilla y León, and another Castilla-La Mancha. There are other 12 more communities and two autonom cities. It would be better to call the country for its proper name: Spain. And I have to say that we use the "-se" form as usually as we use the "-ra" form, and we learn both forms together at school. Sorry, I am not referring to Spain, I am referring to Castile. There is a difference and I am well aware of it. Castile (and not Castille, my mistake) is a well-established English form of "Castilla". I see you know very well Spain. But I can say that when you state that "in Castile or somewhere else where there is actually a semantic/functional distinction" that we, in all Spain, use both form 'fuera' 'fuese' and all related stuff without semantic/functional distinction. No distinction at all. They are exactly equal. You may be a native speaker, but you are not a native speaker of every dialect or local variety. I am also a native speaker (not of Peninsular Spanish though), but I trust decades of research by native-speaker linguists over your single anecdotal response. I'm travelling right now but if you'd like when I return I can provide at least 3 different sources that demonstrate a distinction in meaning between -ra/-se in certain local varieties of Castillian Spanish. I have to admit that you are right. I'm not a native speaker of every local variant of Peninsular Spanish. I've only lived at Galicia, País Vasco, Castilla y León (in 3 diferentes cities), and a handful of Andalusian cities. On the other hand I do travel frequently across all the country. So I've read carefully the previous link and those studies mentioned by you, and I see: Cuervo in 1874. Dale in 1925. Keniston in 1937, and so on. But, do you have a remote idea of the changes that have carried Spain to nowadays, to de 21th century? In the work of George DeMello, that was written in 1993 (that's 'only' 22 years...) study 126 occurrences of subjunctive forms in Seville. I like very much to sit down at a 'terraza' in Alameda de Hércules, in Seville, taste a beer and to hear the people and speak with someone... Exactly the same in Van Dyck the 'tapas' zone in Salamanca, far away of the tourist zone, or the zone near de Plaza Mayor of Valladolid, or a bunch of bars in Málaga... Single anecdotal response you say? Well, I'm not a linguist, but I've lived the enough time and in the enough different places of Spain to tell to someone learning Spanish that there is not difference at all between the two forms. That's simple. Now, if the people want to go deeply with the subject, do not hesitate to come to live to Spain. It isn't important the place, you'll encounter open minded people willing to offer his friendship and if you (other person, I know you as a Mexican speak Spanish very well) make a mistake, never mind, it isn't important.) And if that is not possible at the moment, you can read the 25th chapter 'El verbo (III). El modo' in Nueva gramática de la lengua española, by Asociación de academias de la lengua española ASALE, included Academía Mexicana de la Lengua, not only the Spanish RAE. This is demonstrably false. The imperfect subjunctive has been researched for over a century, and any linguist with any knowledge of Spanish will tell you that they are not simply in free allomorphic variation. What actually conditions their use is still a bit controversial and has been difficult to provide a definitive answer, but study after study as well as experiential and anecdotal reports from native speakers of certain dialects within Spain confirm that they are not simply interchangeable with identical function. Yes, but you are but one native speaker, and what one native speaker alone says does not make it universally true. Yes, this is definitely true. Imperfect Subjunctive #2 is rarely used in most of Latin America and I personally have never heard any of my family or friends use it. We all only use Imperfect Subjunctive #1. My word. I wish to have such a solid understanding of Spanish as you clearly do. I don't remember much from my English classes at school, but have always found there to be two ways to learn: understanding the theory behind linguistic syntax and applying it, or repetition (what looks/sounds/feels right or wrong in any given situation). I've always learned using the latter, as my poor brain can't seem to comprehend and absorb such complex theory, but I'll go over and over this guide as much as I can. Huge thanks to you, adamyoung97! MikeCallow: I am assuming that adamyoung97 isn't 97 years old and may have started learning when he was young. Or maybe even better he is still young and learning easier than an older person such as myself. Anyway, you make a couple great points about theory syntax and applying it. I am studying music theory presently and see the correlation completely. We have information that is logic and we have experience which is application. Overall, it is great to have some of both, so we can communicate better to other learners and musicians. Yes, and a continued thanks to adamyoung97, at what ever age he actually is. You're welcome :) Your knowledge will come, too! Oh god, this is all just so confusing to me still. I haven't even grasped past and future tense yet. This is so hard. Thanks for the guide, I'll refer to this later when I get a little further in. cheescaeks, I don't know when you wrote about confusion regarding the subjuntive but, I suggest you continue to get your past, future, and conditional down well before you jump into subjunctive. Plus there are commands that you may want to learn before you start the subjunctive. Not that subjuntive isn't important, because I realize myself now how important subjunctive is. I passed over all the tenses really quickly and now I am reviewing and I just recently got back to subjuntive. Take it all in stride and do some reviews from time to time on the previous tenses so to keep them fresh always... I didn't the first time around, but this time I am going for a new level of fluency. 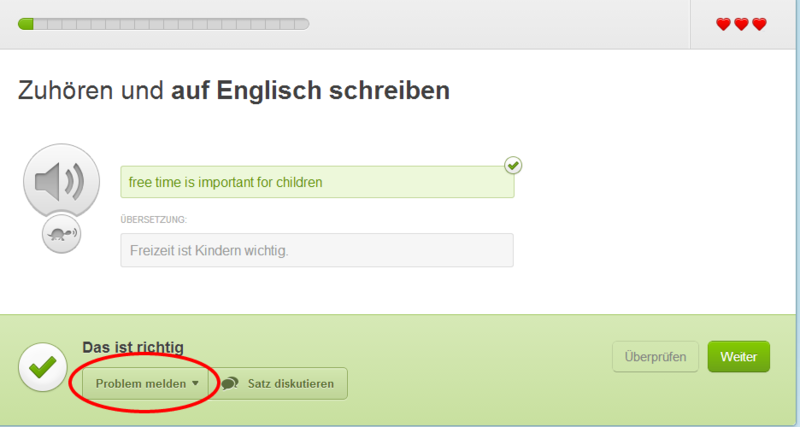 This is one of the most helpful posts I've ever seen on Duolingo. Muchas gracias! Thanks so much for posting this! What an incredible and awesome source guide. I have already immersed myself and absolved so much more in the mere couple weeks I've been on here learning new languages than my many years combined in school. All of you wonderful people and the links you provide only make the experience that much better! Gracias! This is absolutely beautiful. I can't even begin to thank you enough for this. Even though I've had 4 years of Spanish in high school (although that was three years ago), when to use the subjunctive was something I was never able to grasp. I'm so happy you took the time to make this. The only thing I want to ask about is where you heard there were only 3 moods. I was always taught that there were 4 (indicative, subjunctive, conditional, and imperative (which thanks to you I know should be jussive instead) ). It was always emphasized that the conditional was a mood and not a tense. Once again, thank you so very much for putting this together. I may have completed the Spanish tree, but it's been awhile since I practiced (as is evidenced by the numerous other languages I've started) and I can't wait to get back to it and use this guide in my studying. You're very welcome :) Hm, I looked it up and it appears you're correct - the conditional is a mood :) I'll change it, thank you. adamyoung97: I am wondering where you learned the term "jussive," because I had never heard it before. Like the famous book of verbs: 501 Spanish verbs doesn't mention that term, unless I missed it. Then looking at what Wikipedia says about "jussive" it seems to be descriptive of something used in languages other than Spanish. (It does mention Latin.) I thought since you have studied many languages, that term may have come from one or some of them. I don't remember exactly where I saw it, but I saw that it was the official term for the conjugation used for imperatives and suggestions. I will ask my many connections here regarding this... Just for curiosity sake and who knows what else... I have a desire to know many things that include the unusual and off the wall stuff even . Thanks for your guide and various posts Mr. AdamYoung. Could you comment on this sentence? -- Después de que sus padres se divorciaran en 1980, Musk vivió mayormente con su padre en localidades de Sudáfrica. I thought it should just have the indicative "se divorciaron" in the second clause, and reading through your notes, I couldn't find anything to justify using the subjunctive. Nice work, Adam, btw... not only thorough, but also nicely formatted etc. Very generous of you to put so much work into it and share. According to the book, The Spanish Subjective Up Close by Eric Vogt, Ph. D, these two adverbial clauses are similar but "Antes de que" always require subjunctive (*) while "Después de que" may or may not depending on the situation (pp 50-51). In the first one, there is anticipation. Second one, it happened. There was no anticipation and so it is simply reporting what happened. In both cases, the call had not happened before I left. So, in either case, Juan/John's call was anticipated. Anyway, don't shoot the messenger if you disagree. You are right, but in your example 'Yo fui al cine después de que Juan me llamó' I see a subordinated sentence introduced by 'que', and that verb would be conjugated as subjunctive. This morning I have formulated this question to different people, and all of them have just answered me with a subjunctive tense. Note: For anyone interested on this subject, searching in Google: "super simple spanish subjunctive rule book" you'll find a booklet that shows it on an easy way. The examples are coming directly from the book I quoted. This was a specific example of where subjunctive should not be used per author. Again I was not waiting for or anticipating the call so I left after the call came (Juan me llamó - pretérito de indicativo). I am just stating the sequence of events that happened in the past in this case so subjunctive will not be used. This case is similar to the case of 'cuando' when it is sometimes used with subjunctive and sometimes not. Update: by the way not every subordinate sentence that starts with que needs to be subjunctive. I've just edited slightly my previous comment, with the hope to help people learning Spanish. and so on. The whole form started with 'que'. I know it has been a long time since this discussion has taken place, but I am quite interested about this topic. It wasn't clear to me what the formulated question you asked was to the different people. I am not understanding why all of them would have answered with the subjunctive there, and I do wish to understand. El terremoto repentino empezó después de que pasó la tormenta. There is no doubt, uncertainty, but only objectivity in the above sentence; therefore, the subjunctive does not seem warranted to me. Yo fui al cine después de que Juan me llamó. There is no doubt or uncertainty, there is no opinion expressed; rather, the event has already happened and one could verify that it happened as "Juan" did call and that is fact. I look forward to learning from your response. 'El terremoto repentino empezó después de que pasase la tormenta.' and 'Yo fui al cine después de que Juan me llamase'. Why in English you say 'For sale' and in Spanish we say 'Se vende'? I don't know, but those are the sentences. I must say that those sentence are used in Spain. so... Why do you use the "after"? Just to let someone know why we did the first thing in question or what happened before. An why in spanish we say "se vende" instead of the literal translation "en venta"? Well we also use "se" as a preposition too, there's an implicit subject (which can be a house) so we can also use "en venta" which is practically the same but with more... formality you can say. As I commented before: Even though my natal languaje is spanish... it's the hardest languaje because of the multiple ways to talk it. I did not expect such a quick response. ¡Muchísimas gracias por ello! Again, I find this very interesting. In what city did you ask this question? I am not sure if this no longer holds true, but at least as of 2005, according to the RAE, "después de que" can be followed by both subjunctive and indicative. Después de que te fuiste, llamó tu hermano. Sometimes there is a disconnect between what they publish and what is used, I guess though; and, they cannot address every variation of the language. Very much thank you for your time. ¡Y que tenga un buen día señor(a)! Oh yeeah the RAE... it's werid though to follow up any indications from it. You see, I'm from Mexico city, and my spanish won't be the same of a Madrid guy or a Bogotá guy. As much as we know the RAE will try to unify spanish and also will say what's grammatically correct. Still is no use once you speak it for real. You'll find a lot of variants the RAE would not address. It just depends of the culture from each country with native spanish. I hope you can get the idea. I find this very interesting too. It makes me think about the subject as I have the mechanisms to use it (as a native speaker), without the need of search an explanation. The question was asked in Seville. And later I asked it in Málaga with identical answers. In a language there are many exceptions to the rules, it is not a mathematical law. There are sentences that are used as such from many years ago, centuries, as I pointed with 'For sale' and 'Se vende'. I have to throw a "monkey wrench" (which is American, for "spanner"), into the machinery, here! Your COMMON SENSE was correct! "Después de que se divorció de su esposa, hombre miró esta foto." I only "reverse the verbs" so that you can look at a "dependent clause" that resembles the one you gave, as an example. Notice how the "simple past tense" (el pretérito) is used: NOT the subjunctive. Clearly, young Adam does not understand that the past tense is merely used, here, to list a sequence of events that 'already happened': not to indicate plans to do something, in the future. "Después de que se divorcien, (Musk se saldrá para vivir con su padre)." Clearly, one action is conditional upon another action happening: (and, THAT is why it uses the subjunctive "mood", in this last example, just above, here). Or, in other words, "Musk" will live with his father "in the event that" (and AFTER) the couple gets a divorce, "the Lord willing and the creek don't rise" (words in quote are a phrase often uttered by people from Appalachia: the 'mountain people' of that region of the Eastern U.S.). So, the "independent clause" (which begins with "Musk") is dependent on something happening, FIRST: something which may or may not happen. There is the element of "doubt" which becomes "part of the mix", when use of the subjunctive is indicated, in examples like this one. In contrast to that, the "couple" had already divorced, in your example, after which the boy went to live with his father. Well, the person whom I corrected (I thought they had just made a typo with "se divorciaran") is a native Spanish speaker and said the subjunctive simply sounded correct. So is there a rule about using it after clauses using "antes" or "después?" When I was taking Spanish grammar at university I was pretty good at it, but it has been awhile. Maybe I'll dig out my books, if I Google won't tell us. 1) Aunque can be used with the indicative and subjuntive: look at part IV of this link: http://users.ipfw.edu/jehle/courses/SUBJADV.HTM 2) perdona que / perdone que (imperative) are both followed by the subjunctive since perdonar expresses a feeling (or direct effect). This is to the contrary of normal imperative expressions such a common phrase like "no me digas que tienes razon" whose imperative clause is followed by the indicative. Can somebody please explain to me why the word for eat in Spanish is comer so in this guide when saying I eat it would become yo coma yet in the app it is yo como? is a and o the same in spanish? Hi Thomas, yo como means I eat in the present tense (indicative mood). Yo coma is the present subjunctive tense in the subjunctive mood. At level 6 you may not have reached this level of grammar, as it is much further down the tree. fgordy: Interesting name. I had a professor who used his middle name Ernest(o) instead of Gordon, because gordo means fat. And if you add "on" to some Spanish words, like some adjectives they mean even more... whatever like fat. However "gordon" is not a real word. Like silla is chair, a real big chair is sillón. I suppose "millón" would be another example, when mil means a thousand and millón means a millon. Also, "ratón" must be one too. These are called, augmentative suffixes. Here is a place to read more about them, if anyone is interested: (http://spanish.about.com/od/nouns/a/augment_suffix.htm) Anyway, I just wanted to say that the www.spanishdict.com is a good source and it seems to be getting better all the time. My favorite dictionary for languages is this one: http://www.wordreference.com Buen día. Clemento, it seems like your professor had an inferiority complex. Neither Gordy nor Gordon means fat. Gordon is a good ole Scottish name. However my sir-name is not Gordy from birth. It is Ferguson, another good ole Scottish name. Gordy is a famous name in Atlanta and is quite rare and most likely derived from Gordi (Italian, so I have been told). Thanks for the link. I use it all the time. In spanish verbs decline accordig to person, time and mood, . "Yo como" is first person , time present, mood INDICATIVE. "Yo coma" is first person, time Present, Mood SUBJUNCTIVE. EXAMPLE: CUANDO YO COMA PODREMOS IRNOS. shows person, time and mood alone in the "Yo coma" to make the understanding a little easier imagine there is a conditon to perform the following action, in this case the condition is "yo coma". In the situation of "yo como" there is no condition to do it, you just do it.That is as far as my grammar can go, Hope it will be enough. Please see my reply in this discussion to senor_leofordan. It doesn't talk about comer specifically, but it's still going to be an answer to your question in a way. 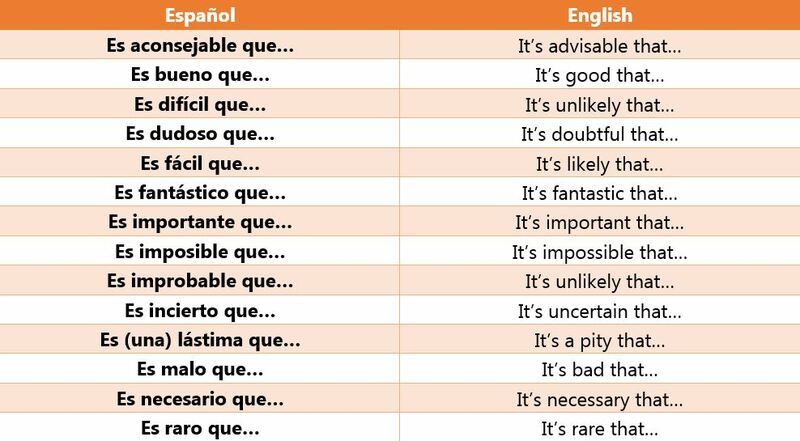 If you are not at a point in your Spanish studies where you have encountered and know what the Subjunctive Mood is, then you do not have to worry about this guide yet. You should forget it exists until you do. As far as you need to be concerned, "I eat" is "Yo como". The -a and -o endings are not the same in this case. If you really must know what's going on, reread the intro to this post. It explains what the Subjunctive Mood is very nicely. If you are still confused, seek outside resources and help elsewhere on the Internet. Those forms, leo/lees/leemos/leen/lee, are neither moods nor tenses: they are present tense [indicative mood] conjugations for different persons and plurality in the subject. This thread refers to something called the subjunctive mood, which you won't need to worry about for a little while, until you get into expressing more complex ideas. Wow! That was pretty thorough! :) Thanks for posting that! Are you a Spanish student or teacher? :) Awfully nice of you to do that. Do you have a blog about studying Spanish? Soy estudiante de español, estoy en el colegio :) No tengo blog, lo siento. ¡Y no hay de qué! Thank you :) Have you seen my Amharic website? I never even heard of that language. I thought someone mispelled Aramaic. Well, that is what I get for thinking. so surprise .....oh you can speaks Amharic ?a language of Ethiopia right?i have been Ethiopia 4 years.really nice to meet you..
Adamyoung que tal? definitivamente muy impresionante lo que has compartido acerca de la guía del subjuntivo, ciertamente es difícil para principiantes el atormentador "subjuntivo", y quería comentarte básicamente para agradecer tu trabajo y empeño que has puesto en ello, leí un poco los comentarios y de verdad sigo firme en decir que el español no es un idioma tan fácil como muchos creerían que es, tiene bastante tropiezos y estructuras enredadas; yo como hablante nativo te felicito por tanta elocuencia y eficacia. Sigue así! no desistas nunca y espero que cada día que pase te vuelvas mucho mas fluido en este precioso idioma! I have to say your Spanish has to be quite good, because expressions like "no hay de qué", is the kind of expression your learn when you are fluent! I learned "No hay de qué" on my first trip to Mexico, right after my first semester of Spanish in college. I also learned "Que le vaya bien" on that same trip. Knowing any amount of phrases such as these doesn't show one to be fluent in the language. It doesn't hurt toward achieving that as a goal however. I tend to agree with you Clemente-Pablo, seeing that I learned that phrase in the first few days of my first year of high school Spanish. Our teacher gave us a list of words and phrases that she wanted us to start using in the classroom and that was on the list. qué quiere decir "no hay de qué"
Viene a querer decir: "no hay nada que agradecer"
@parafrances Son todas fórmulas para restar importancia a lo agradecido. "De nada", "¿de qué? ", "con gusto", "no hay que darlas", etc. Es simplemente una convención. Cambiará el país y la fórmula, pero la intención es la misma. que buen explication! En mi lengua,romanian, es lo mismo:"Nu ai de ce", pero no pienso nunca en la significad.Gracias! Yo he oido "de nada" de hispanoparlantes de varias lenguas, pero "no hay de qué" no se dice en todos los paises hispanoparlantes... un mejicano siempre me decía "de qué", a mi me sonaba a pregunta... y "con gusto", que me sonaba raro... por eso, "de nada" para mi es la mas universal. It is kind of how the USA folks say: It's nothing. In fact you can also say "No es nada", but it depends of the context. "No hay de qué" it's a formal way. is like you are welcome ! exacto, Gvm0004, sigifica lo mismo que "you are welcome"
No estoy de acuerdo, ElHeim, NO significa "restar importancia". Es la fórmula de respuesta cortés, nada más... no me gusta el "you're welcome" ni el "con gusto", precisamente porque hay veces en las que lo que has hecho puede que fuese tu obligación hacerlo, y puede que te haya desagradado o agotado, y tienes que devolver la fórmula de cortesía.... pero de ahí a que lo hayas hecho con gusto.... va mucho. Cuando realmente quiero restar importancia (y en según qué contextos), yo digo "ha sido un placer", o (en según qué otros) digo "al contrario, gracias a usted" .... porque "de nada" no tiene significado en absoluto, más allá de ser tan educado como el que te lo dice. It is kind of like saying, it's nothing... in place of your welcome... But you wouldn't say: No es nada... I don't think I have ever hear that anyway. "No hay de que" is very common and I feel like it is a more formal way of saying your welcome, whereas de nada seems informal... maybe just be me though. I don't believe it shows any level of fluency other than, it may show that the learner has been hanging around some Spanish speakers for awhile longer than some others. It is not formal... It is quite colloquial to say like that! And when I say it must be a good Spanish is because that "phrase" is a little bit difficult to get! Solo un consejo, "QUÉ" (Con tilde) solo se lleva en caso de preguntas, por ejemplo: ¿Qué te paso?. Lo mismo sucede para "PORQUE", (Con tilde), solo se lleva en caso de preguntas. Algunas personas también dicen "Por qué" (Que es totalmente valido). Por ejemplo: "¿Porqué él se fue?" "¿Por qué te caíste?" Otra cosa, cuando te estés escribiendo con alguien, algunas personas solo usan el signo de interrogación al final "?". ¡Cuidado! "Porqué" sólo se usa como sustantivo, para hablar "del porqué" de algo. Al preguntar, siempre se usa "¿Por qué...?" Nunca "porque" o "porqué"
Oh, muchas gracias amigo, no sabia eso. Not really. "No hay de que" occurs in Destinos, the novela aimed at intermediate Spanish learners. Excelente, bien hecho! Tenga un lingot! Muchísimas gracias! Note: I prefer to show, as much as possible, any real correlation to existing subjunctive forms, in English, to give a more complete sense of any similarity between the two languages. Sí, pero lo importante es que la gente vea el subjuntivo en las frases en español, hasta yo no lo utilice siempre cuando traduje las frases al inglés, pero tienes razón. The idea is to "make as close a correlation as possible". And, then the "newbie" is more apt to "see" that correlation. Nadya222: The "newbie" and the retread... that would be me. It is great to see and remind others regarding somethings the newest learners might miss and how they may either see things and/or need some guidance seeing things clearly. As a retread, or second time around learner, I really appreciate that kind of insight. ¡Esto es muy bueno! ¡Me ayuda mucho! Éste and ésta (with accents) can work as pronouns when you do know the gender of the thing you don't feel like saying the entire name for. If they are working as pronouns, then the accent is used. If they are adjectives, then there are no accents. Same goes with ése/a and aquél/la. ¿Podrías decirme cuánto cuesta esa obra? ¿Podrías decirme cuánto cuesta ésa? as adam said, in this case it would still be esto or eso. There isn't a noun to know the gender of in such a case. Also, La RAE says (last time I checked, it was within the past year or so) that now you don't even need to put the accents on este and esta to use them as pronouns. Luxerne: I believe you are talking about when there is a conversation and both parties already know what the pronoun stands for. I have seen it. If there is no context (like in Duo model sentences), one is forced into using the neuter eso and esto. Yeah, but in this case I would say "Esto"
adamyoung97: Isn't "esto" one of those words used for saying "that?" Like when we want to say this thing or that thing. If it is something close to us, we say esto and if it is something further away we say eso, and if it is really far away we say aquello. If the answer you are saying is "esto" and is not in your reach as far as distance from you, wouldn't the correct answer be "eso?" I realize that you may not be speaking of a tangible thing, but this idea popped into my head and I thought it might be helpful to someone. No creo que el japonés sea un idioma fácil. Las reglas insisten en que no se hable. Thank you for the great explanation, but you seem to have left out the Subjunctive Future form. Hablare, hablares, hablare, habláremos, hablareis, hablaren. Yes, it is literary and rare, but it exists! 1) "El Ingenioso Hidalgo Don Quixote de La Mancha" - written in two parts, 1605 & 1615 A.D.
2) La Biblia (la antigua versión de Casiodoro de Reina) - 1569 A.D.
3) "El Cid" --- the date of first publishing is disputed, but "circa 1250-1350 A.D."
In all three of these old volumes, the future tense subjunctive is used liberally. BUT, nothing published recently uses it, at all. At best, it is "antiquated, archaic, and arcane"; although, I confess that, on occasion, I, personally, have wanted to use it, because it expressed my thoughts better than any other "tense or form" of the verb. STILL, it is a "dead form", in Latin America. It is not commonly used in Spanish either, however it may be it exists as "antiquated, archaic and arcane". Also, an article in a Spanish law starts like this: "Quien matare al Rey...", expressing a high improbability of the King's assassination, even less likely that "Quien mate". No me gusta que los profesores nos DEN tantos deberes - I don't like that the teachers give us so much homework. Me molesta que no HAGAS nada - It bothers me that you don't do anything. Me entristece que alguna gente no TENGAN* casa - It upsets me that some people don't have a house." NOTE: The word "(la) gente" is a "collective noun" that is singular, in Spanish. Another such example is "el pueblo", in the case that this second one means "the people" (because it can also mean "the town", depending on context). BOTH of these examples actually mean "the people" (and, for all intents and purposes, can be interchanged, freely); but, the first one [namely, "gente"] may be more closely aligned with the older English word "gentry": both having similar origins, within the Latin language). "Gente" and "gentry", then, are said to be "cognates". In the Spanish-speaking world, however, it does 'not' have to do with the "gentrified rich and famous": it just means "the people" (and, it is most-definitely the more common, of the two words, in everyday use). 1) La gente ES la principal riqueza que tiene un país. 2) Nuestra gente no COMPRENDE la gravedad de la situación. 3) Me entristece que alguna gente no TENGA* casa. The etymology of "ojalá" as "oh Allah" isn't entirely correct. It comes from "wa-šā' Allāh" meaning "and may God will it". "Oh God" is in Arabic "ya rab," "ya allah" or similar. God grant... or Would that... (acceptable English translations). These are closer to the original "and may God will it" that you reference. I was taught as you were. Gods! I've needed this! I wish I could practice the subjunctive like the present or past tense on DL. It keeps slipping out of my brain and I have a hard time internalizing this. Esto esta casi tan elaborado como la explicación que recibí en quinto grado. Tienes un buenísimo dominio del español. ¡Felicitaciones! This is obtainable for me. I will own it. Con Tiempo! Thank you. This explains the lyric "Que no pare la fiesta (don't stop the party)" i.e. why it is not "No para la fiesta" - presumably the que expresses the singer's desire that nobody stops the party, and this desire triggers the subjunctive use of parar. And, even at that, this phrase (of yours) was practically unheard of, in Mexico, as recent as 25 years ago, because people don't HAVE (possess) a good day, they PASS the day well. "Que pases un buen día!" I like your choice of the word "may". And, although, in many English-speaking places around the world, the use of the word "may" (in the subjunctive) is rather archaic and--may I say--Shakespearean, I, myself, still use it, to show, conclusively, that we are indeed dealing with a subjunctive form. MAY IT ALWAYS BE SO! ---Que siempre salga así ! MAY THE PARTY NEVER END! ---Que no [pare][termine][cese] la fiesta! I rather enjoy this serious, dissecting approach to Pitbull lyrics! A further point: negative imperative uses subjunctive. "Do not shout!" becomes "¡No gritéis! ", NEVER "¡No gritad!" (the latter one being a widespread grammatical mistake for many Spanish speaker -- including native ones-- and is generally frowned upon). Hi Eddygp: The ...tad or ...ad endings are used a lot in the Spanish Bible. I always thought it had to do with the Spain type Spanish because they do use the vosotros all the time, at least in the RVR 1960 which seems to be the version the majority still use. Well, if you have any more ideas about the "ad" endings or is someone else does, post it around here somewhere. Thank you for this guide! it is very informative and packed with useful information! heh, I had left this thread open in a separate for easy reference and got a 404 error about the page being gone today, I was thinking "I hope it was stickied because it was too much good information to have been deleted!" and lo and behold it is! now it will be here easy to find for many future learners to access and review! Wow, what a LONG post! This helps alot! Tnx for your guidance.They're really useful. Well done my friend :). I am from Colombia. But need help with the words (In-On-At-It-To), If you can, please explain when when I must use those words, Thanks, and Good Job! ¡Buen Trabajo amigo!. Por favor explicame el uso de las palabras anteriores. Regards from Colombia, Danny. look at engvid.com look there you see many situation to solve your difficult see you. Thank you for your guides of Italian and Spanish subjunctives! Thank you for your website about learning Amharic! Viendo esto, me parece muy complicado el español que el ingles. This is brilliant. I refer to it constantly. A lingot for your generosity! Qué genial! Es muy sencillo comprender. Buen trabajo! I just wanted to add my two cents (much as that is worth haha). I learned that some dependent phrases do not always require the subjunctive, such as aunque, cuando, en cuanto, hasta que, etc. Iré al supermercado cuando no haya ningunas manzanas. Voy al supermercado cuando mis chicos han comido toda la fruta. Aunque mejoren la seguridad, no querré vivir en ese barrio. Aunque mejoraron la seguirdad, no quiero vivir en ese barrio. Después de que llegue su abuelita, limpiaremos la casa. Después de que llegó su abuelita, limpiamos la casa. My teacher was a native speaker, as was her husband, and they always corrected me in conversation because this is such a hard thing to remember haha. You may have just left this out for simplicity's sake, but I thought the distinction should be made. De nuevo ... muchísimas gracias! ¡Tenga todos de mis Lingots! Esta guía es de más ayuda que cualquier ví en la Red. ¡Gracias! Te lo agradezco mucho el documento; es muy util. thank you - I have been studying this today with my Spanish teacher on Skype and I'm so confused. This really helps. ElaineRichards1: It is too bad that most teachers can't explain this subjunctive thing so well. It is best to get the explainations from others who have studied the language(s) you are interested in and use the teachers for only examples of such things as the subjunctive. I couldn't explain various parts of the English language and I have spoke it all my life. Your best teacher sometimes is another student. Is there any way to get at least some of this information in the Subjunctive activity under Spanish? That's where grammar usually should go. However, for some reason, it seems like the Spanish course is lacking grammar lessons (tips). Compare to German, and it seems there is a lot more. Is it my perception, or is it reality? I love the guide, and thank you! It would be awesome to find such a guide associated with the corresponding lessons! @adamyoung97, In your table, 4th from the top, you list the verb 'eligir'. I believe it should be 'elegir'. Please correct me if I am wrong. Gracias! Cool thanks for making this it helped me. Gracias por eso. El concepto del subjuntivo es difícil para muchos. Hola a todos! BellMarcelo is correct! The Spanish speakers sometimes do not use the traditional grammatical order to formulate questions, where the verb precedes the subject. Instead they use the grammatical order of the phrases, where the subject precedes the verb. The only thing they do is to change the intonation of their voice to imply that is a question when they are speaking, or they place the question marks before and after the statement when they are writing. This is exactly what I need (yo lo necissito). Gracias! It's great for english learners too, thanks for that! Thanks! This helped a lot man! Keep it up! Thanks for the guide! I'm looking forward to making good use of it. Spanish is my mother language, and I could see there are some mistakes with the translations and conjugations. I am trying to improve my english and think would be cool practice with somebody is learning Spanish. Wow! This was so good! Thank you! Very interesting! It will help me thoward all my spanisg studies! My only thing to say exepct excellent is please make a german subjunctive guide! I can't see the images in which you show some lists I think. But your work is great, thank you. Thanks for posting that! Subjunctive is difficult...just need to hear it and be immersed in the culture, for it to become more natural. This is just what I needed. 10 lingots for you! Thank you. this is very nice and a lot of work. "Creo que japonés es un idioma fácil"
I believe this should still be subjunctive due to the fact that you are saying something still with unsurety. You'd think so, but with this phrase in the positive aspect the indicative is always used, whether or not you're 100% certain. I see, I checked my textbook as well and you are correct. Sorry for the inconvenience and thanks for replying! thats so good,for my starting .thanks a lot. Creo que esto vaya...va a ayudar a mucha gente ¡Bien hecho! WOW very nice do u teach Spanish? I started learning Spanish today. Then it will take some time before you will come to the point that this becomes relevant for you. ¡Que tengas mucha suerte! I'm sorry if anyone else has already said this, I'm not mentally prepared to wade through 89 comments. But, for anyone studying more than one language, it should be emphasized that this (quite thorough and wonderful) explanation of the subjunctive is specific to Spanish. many/most/all language have a subjunctive, but they don't all work exactly the same way. These are just a few of the similarities that there are between the three languages in their use of the subjunctive. Granted, there are differences, but these are less than the similarities. That's fine, I was simply pointing out that across all languages, there can be quite a variance in subjunctive. German is the example I have experience with. A lot of things you would use subjunctive for in Spanish, you simply don't in German...as far as I could get from my German professor, anyway. But anyway, again, just pointing out for the sake of interest. German does have a different subjunctive, I agree. When you apply to Harvard, take a screen shot of this 300+ comment discourse and your handiwork. I think that is why it was posted under the "Spanish" topic, and given the subject "Spanish Subjunctive Guide"
that's fine, I'm simply pointing it out as a point of interest. Yep :) And thank you! ¿cómo aprendiste español? ¿era un proceso rápido? Prácticamente solo con Duolingo. Ahora tengo clases de español en el líceo, pero para alcanzar el nível suficiente para comenzar en un nível más alto, solo utilice Duolingo. Y para mí, sí, era rápido. Great ! Excellente! Muchas gracias, me ayudo tan enorme ! Olé, olé y oleee... voy a guardar! I'm pretty new to this Español stuff, so please help me. I am confused. At the start it says for yo, it should end with a. But but why? I have been taught that it's o, like Yo bebo leche, Yo como pan, for present tense. Because this is the subjunctive mood. The mood you are referring to is called the indicative. The start of this post goes over what the subjunctive is and when it is used. I suggest rereading it and if you still don't understand, finding other sources online to help explain it. Basically, the difference boils down to factual, verifiable information (indicative) vs doubtful, hypothetical, opinionated information, subjunctive (this is an oversimplification, but it'll do for now). Other languages, like Spanish, specify the subjunctive mood with differing conjugations for the verbs. English's subjunctive is weird in that a lot of it is implied and taken care of by already existing tenses (for example, subjunctive past looks the same as indicative past in English, for the most part). The English subjunctive is only really present in phrases that would sound overly formal to the modern native speaker. Examples are "If I were president,…" or "If he were here right now,…". Notice how the conjugation is different. Usually, we use "am/was" with I and "is/was" with he/she/it. The subjunctive shows itself in the use of a different conjugation. It's the same for Spanish, they just have more conjugations and rules than English. Hope this helps you at least a little and good luck in your studies. SALUTON ADAMYOUNG (JOVEN ADAN) FELICITACIONES ADAM, POR SU APORTACIÓN. ESCRIBE MUY BIEN EN ESPAÑOL Y VEO QUE TAMBIEN ES UN ESTUDIANTE AVANZADO EN ESPERANTO. ESCRIBA EN ESPERANTO Y TRADUCIDO AL ESPAÑOL O INGLÉS. PARA APRENDER UN POCO MAS DE USTED. SO LONG. SajanFriel: Who were you addressing or writing to when you said, "You spelt elegir wrong dude?" It is easier to notice who you are talking to if you put their name in the post. I didn't see anyone whose name is "dude." I know he is talking to the OP for miss-spelling an infinitive, but the use of Dude here is inappropriate. Your advice is spot on. I am una mujer and I can't stand to be called 'Dude', or 'man'. Anyway it is my personal opinion , that the use of 'Dude' is very passé. I did send a post to adamyoung97 about the miss-spelling. Y al ragazzo o ragazza que publico estos verbos lo felicito seran de gran aiuta a tutto. Gracias buona tardi. Hi, you can always make a discussion topic for this in the Spanish Discussion Forum. That is , if you want to. Are the different imperfect endings (-ra vs -se) used in different countries/dialects? We've only ever learned one kind of imperfect subjunctive ending in school. This is really good and helpful. Keep it up! Man, I'm glad I was born speaking this language, otherwise it would be hell to learn these. It's good if you are a native speaker. It is very difficult to master subjunctives if your native language does not use the subjunctive (or if the subjunctive is conjugated like the regular tenses). I'm an anglophone and I can attest to this. Subjunctives in French and Spanish are my weakest points. Yes it is!!! We, native Spanish speakers, have our own difficulties with those grammar obstacles coming for not being languajes coming from the same origin (latin vs greek) Silly example: Long time not seen! Yes it is!!! We, native Spanish speakers have our own difficulties with those grammar obstacles coming from the languages not having the same origin (Latin vs Greek) Silly example: Long time not seen! I would love to practice with you. I am a 20% fluency. Not a lot, I know. hey guys, i have a newbie question that's bothering me. at the first table he mentions the verbs and their different forms for example: the verb 'comer': yo coma , tu comas Etc. in the lessons i've encountered so far i saw that the proper way to write is yo como, and tu comes , ella come Etc. what am i getting wrong here? please help.
. If you want grammar, please read adamyoung97's explanation, which is GREAT! If you can add QUERER QUE without losing the sense, as in "Es imposible que yo coma con el dolor de estómago que tengo", or "su madre quiere que coma el pescado pero el niño no quiere", it's subjunctive, that's the one ended in "a"
If you cannot, that's it, iof you are stating facts, as in "yo como todos los días" o "el niño come pescado aunque no le gusta", tthen is the common tense. In English it's not perceived but in certain verbs or tenses, and not used but in literature... or songs.... "If I were a rich man, dubidubi-dubidubi-....", "I suggest that he BE removed"
If you never use your own subjunctive ( as explained at https://en.wikipedia.org/wiki/English_subjunctive ), then I understand it's a hard tense to learn in Spanish... where it's used a lot. Hello dear parafrances, your explanation was GREAT! thank you for the time you spent answering me, i find this extremly helpful. again, thank you so much :)! thank you for doing this, I think t is very helpful. is there a way to print it? in the alternative, would you mind emailing it to me so I can print it? you can copy paste is to Word, it looks the same. Very useful! I will come back to this once I'm skilled enough. This is like the 3rd time I tried to learn Spanish..
Don't give up! ¡El que la sigue, la consigue! Awesome guide! What I needed for this upcoming quiz. Thanks so much! I know! That was a very helpful! This could take me a lot ahead of my class! !Gracias! Best lesson ever! Great article, thank you. I can remember this from school, years ago. I bet you sent your answer using your mobile, and your English corrector made that "gracious" out of your intended "gracias"!!!!!!! Are you an american or do you just speak English. Thank you for your help. My brain was pretty mixed up on the uses of subjunctive, but the good part is that some of these , though obscure can be looked up on this site. It has been a while since I tookn any school Spanish and I needed a refresher. ¡Muchas gracias! I hope I'll be able to use this guide someday. This is a very helpful guide. Thank you. what's the difference between hablo and hable ? I know the meaning of that word, what I mean here is it the word use for boy or girl or neutral ? Hablo is the indicative form, and hable is the subjunctive form. Spanish verbs are't gender-specific. Not totally sure, but I think another irregular verb for subjunctive would also be 'ir'. At least, that was how I was taught. Le tomó mucho tiempo para que lea esto, pero fue realmente útil. Buen trabajo, y gracias ! ¡Maullar! Thank you very much for this very useful guide! Wow, I didn't see it that way. I am a native spanish speaker and When I made a language exchange with a native english speaker, He said that he had troubles with the subjunctive mode, I did know what he meant, Then he gave some examples and I knew what he was talking about. For me it was very easy and natural, nothing special. Maybe it is the same for you guys regarding to the english language. I am still a little confused about the whole subjunctive thing, but not as confused as before. Is any other way you could explain this? Loved it .By the way how long did it take you to write that it was very impressive! Gracias por su ayuda con esta subjecto dificil y complicada. The song 'A Dios le pido' (Juanes) uses the subjunctive throughout the song. I understand most of them, except the ones in the refrain. Que si me muero sea de amor y si me enamoro sea de vos y que de tu voz sea este corazón. 1 - I'd like a correct translation of this, since translation websites give different translations. 2 - And an explanation of why the subjunctive is used here. Thanks in advance! Would help me a lot. And I too find uses of subjunctive that does not seem to fall in previous patterns. Songs are particularly difficult when learning a foreign language because for artistic reasons and for fitting the melody the words are rearranged, omitted etc. For that reason, translation often is becomes more difficult even if you understand what is being expressed. What you found is a good one. I think I understand why you have to use subjunctive in these case. Pedir is a verb like querer, desear that requires the use of subjunctive (wish/desire/want). You often can see statements like Que no te vayas omitting the verb that implies the subjective. In those situations, you can imagine a verb of request is preceding the word que. For example: Te pido que no te vayas. and that your voice be in this heart. I prey to you every day. Yes, the translation lose a lot of the poetry of the song but I hope you will be satisfied with my effort. Thank you for this. I will refer back to it when I get there in my Spanish tree. I am functional in French but rarely if ever really use the subjunctive. It just hasn't stuck -- and native speakers have been forgiving. There are times when not really thinking about that I actually use it -- and correctly. Je veux que tu le fais. For me, this has come from being immersed in French environments and mimicking the native speakers (yes, after some formal education/practice). I am hoping this will happen in Spanish for me too. Él no ha comido nada. ¿Que no tenga hambre? I am a native Spanish speaker from México, and I have never used the question above. I would usually say: "Que no tendrá hambre?" or "Que no tiene hambre?" - if I'm wondering, or referring to someone not near me. I learnt that the verbs with -ir don't have things like -amos for nosotros but they have -imos so it would be: nosotros vivimos and not: nosotros vivamos! What you said is correct for indicative mood. Vivamos is the correct conjugation for present subjunctive. Aunque nosotros vivamos, ellos moriran. faithscott0, whatdo you want followers for? This is really useful. Thanks for putting it together. Both can be used. When you use past subjunctive you are indicating lower probability of the wish becoming a reality. The chart is correct. You may be confusing it with the present of indicative. Oh... I'm sorry, I didn't know. I'm kinda dumb you know, so I think I was confusing it with conjugating verbs. Although, the chart still doesn't make sense. I still think that "-ar" should be switched with the other one, but whatever, what do I know. Sorry to confuse anyone and I'm sorry I didn't understand something. Nope, as I said, the chart is correct for the present in subjunctive mood. and I don't understand why someone gave me a negative point - my comment is not disrespectful or wrong! I don't know why someone gave me a negative point because although I was wrong, it's not like I was being disrespectful, as you said. I genuinely thought a mistake had been made. please gymnast_megs, keep in mind that Spanish is not English, you are referring to the rules of the indicative mood (statements I WILL BE 24 next week ) and here we are explainig very correctly and carefully the subjunctive mood (whatever WILL BE, will be) . Now you try to translate my examples into Spanish... the spelling should be different. wow, dude. seriously. this is massive! I need to print it, it looks soooo helpful. gracias! thanks. These are useful information. yo se ablar espanol pero no se cuando usar las senas arriba de unas letras. A whole lot of information. One problem I have is this and that. I just do not understand and I keep getting it wrong. Could you help me with this?Even though I can read Spanish, I am stunted when I see (ese,este. Mi regla personal pa' Subjunctivo: "subjeto primero, dale un verbo. subjeto segundo, el subjunctivo"
Very clear. Very helpful. Thank you. but what is the personal ending ??????? My Spanish study guide - covers nearly every aspect of the language!